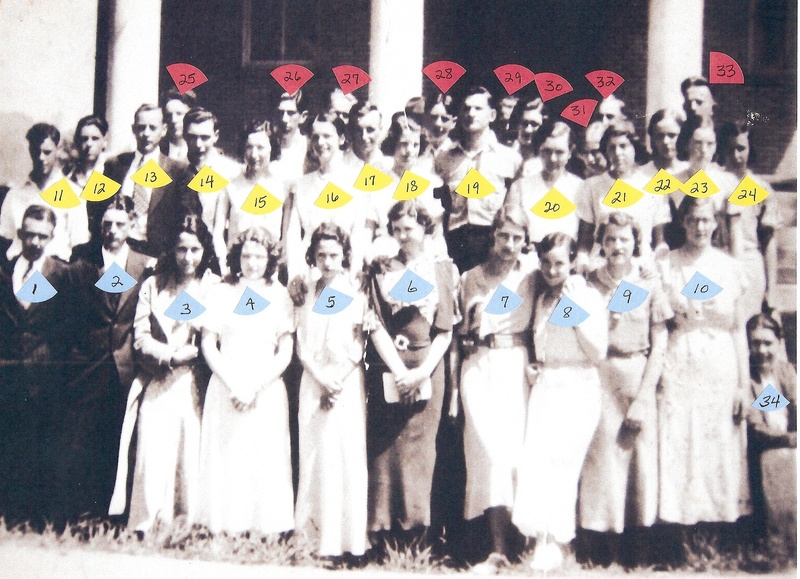 Can you name a Face? 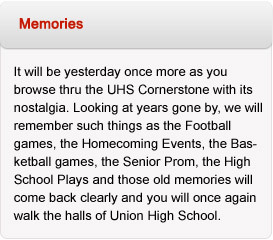 This Union High School photo have been submitted to The UHS Cornerstone Website. 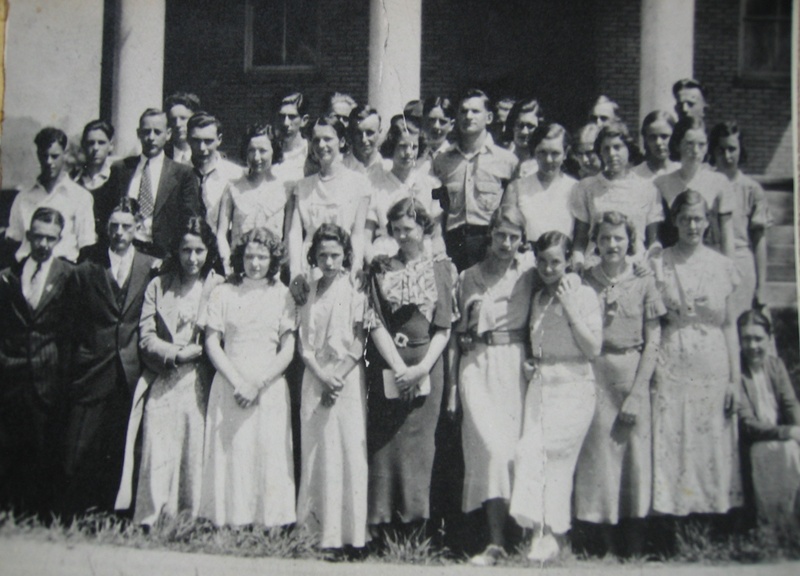 Along with the pictures we have the names of the class members but the names do not match the line up in the photo. The pictures are numbered and if you can match up any name with a face please send an email through the website contact. 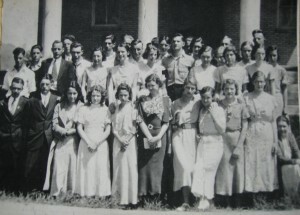 Pearl Caldwell, Louise Carper, Jessie Ellison, Mildred Fullen, Kathryn Givens, Virginia Lee Miller, Hazel B. O’Quinn, Helen Raines, Ethel Virginia Patton, Edith Sibold, Margaret Pomphrey, Helen Walker, Hazel Mae Wallace, Janie Wallace, Francis Weikle, Mildred Wiseman, Grace Young, Edward Anderson, Bryon Beamer, Kenneth Brown, Charles, Beamer, Ralph Canterbury, Delmar Compton, Edwin Duncan, Earl Givens, Fred Gates, Roswell Leach, Robert Moore, William Patton, Julian Ralston, Jessee Sibold, Cecil Wiseman, Reta Mae Ballard and Etta Bostic.